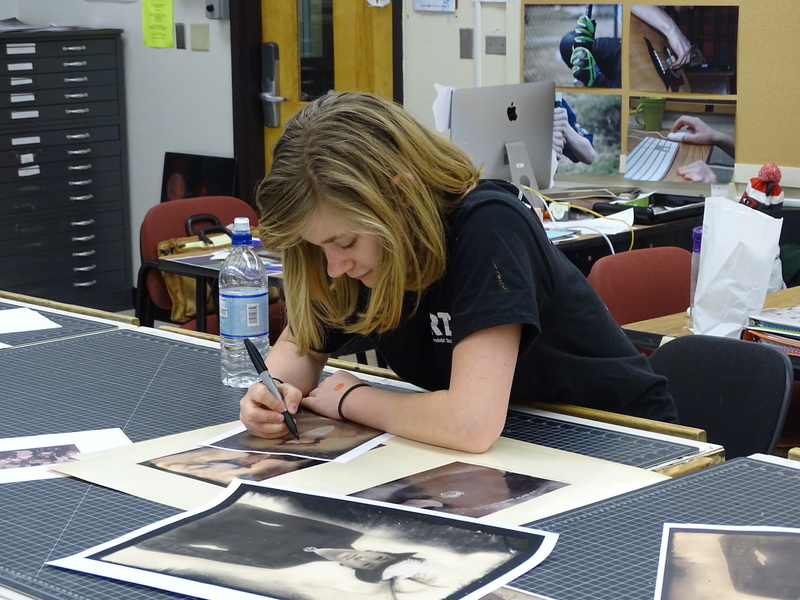 The Graphic Arts program is a one-year program of study that exposes students to the skills necessary to pursue further education or work experience in the Graphic Arts industry. The program helps students develop specific skills in drawing, illustration, graphic design, software applications, computer systems management, printing, designing for film, and digital photography. Students study the work of design professionals both in the classroom and in the field and complete projects for a variety of public customers. Graduates are prepared to enter a two- or four-year college program, or take immediate jobs in the workforce. Past students have attended the Rhode Island School of Design, Savannah College of Art and Design, Montserrat College of Art, Mount Ida College, Massachusetts College of Art and Design, College of Art and Design, Lesley University, Full Sail Film School, McGill University, Montreal CA, Saint Martins Central School of Art, London UK, Johnson State College, Saint Michaels College, Lyndon State College, and Champlain College. Students applying to the Graphic Arts program should demonstrate an interest in exploring careers in Graphic Design, 3D design, Multimedia production, Advertising and Marketing, Professional Photography, or Illustration; an ability to work independently and as part of a team; a commitment to meet deadlines with assignments and homework; an ability to take direction and to collaborate in critiquing one’s work. They should also posses an ability to respect others and act appropriately inside and outside of the classroom. Students who visit and show an interest in the program are invited to attend for a minimum of half a day as part of the application process. They would be partnered with a Graphic Arts student, this way they can get a realistic understanding of the program, working environment and expectations. Another part of this visit would be to show a portfolio of their work. This should include at least three finished pieces in any medium, preparatory sketches related to finished work, any examples of photography and examples of journals.